Waterfalls are one of the most beautiful gifts from nature. There are several hundreds of small and big waterfalls around the world, varies by height and force of fall. Here is the list of top 15 most beautiful waterfalls in the world. Langfossen waterfalls can be located in Etne, Western Norway. World waterfalls database listed it as one of best in the world. The 600 meter high Langfossen falls is Europe’s 16th highest water fall, have spectacular surroundings which makes waterfalls more beautiful. 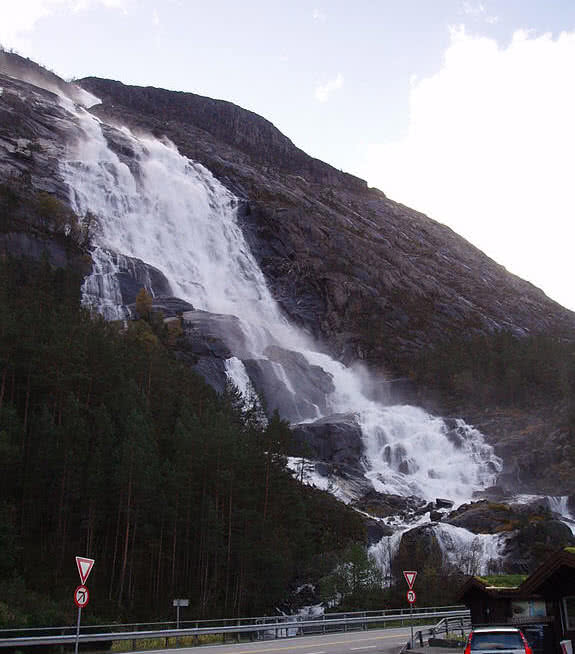 Langfossen waterfalls flows down to akrafjord, mountain area near European route E134, which makes easy accessibility for this spot. The water spray to road and rainbows makes this place more beautiful. Also it is the main tourist spot to get home baked foods of Norway. 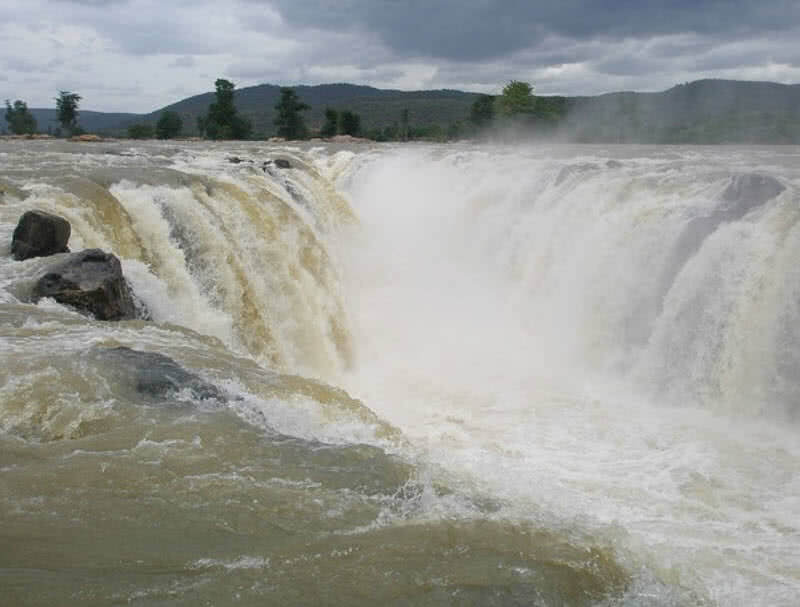 Hogenakkal waterfalls can be located in Tamilnadu state, South India. Hogenakkal is commonly known as ‘the niagra of India’ surrounded by beautiful melagiri hills which is 750 feet above sea level. The thick herbal plants of melagiri forests makes trip to hogenakkal more fresher and joyful. You can hire boast to get close view of hogenakkal waterfalls, can make trip in the river. Foreigners are mainly use to visit hogenakkal in monsoon season to get full spate of Kaveri river. The oil massaging and local foods are also main attracting elements of hogenakkal. Havasu waterfalls is one of the most attracting sight in Grand Canyon Arizona. Unlike other waterfalls Havasu waterfalls have deep blue water and surrounded by red rocks. The natural pools and dams also makes the area more beautiful. The lime stones that surrounded by Havasu waterfalls have age of several thousands of years. 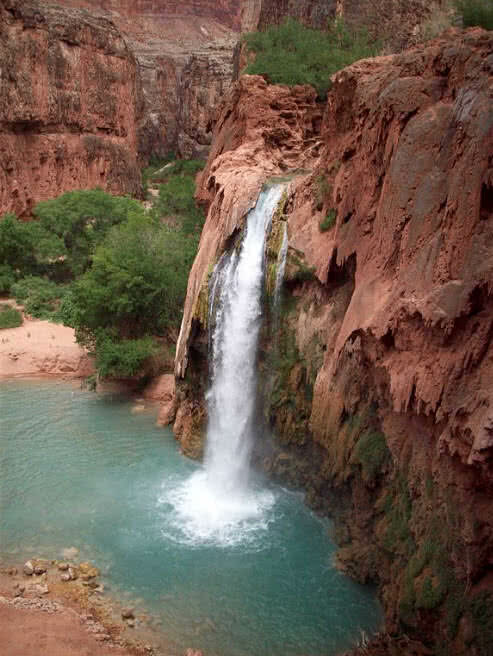 Hiking and camping also becomes common tourist trend at havasu falls. The beautiful surroundings of grand canyo also attracts millions of visitors every year. 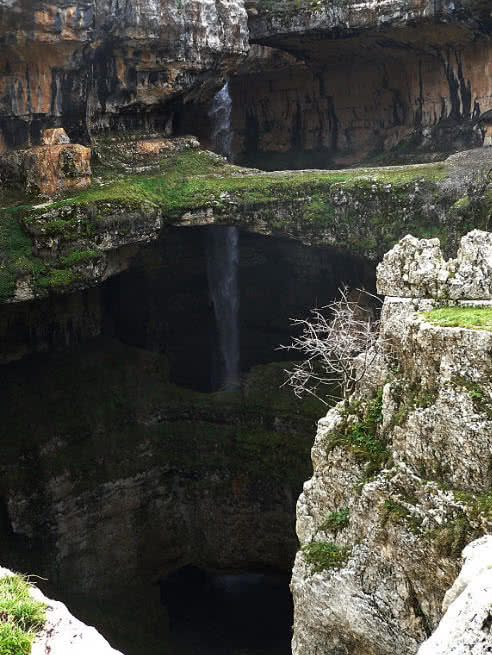 Baatara gorge waterfalls can be located in tannourine, Lebanon. It is totally strange waterfall from that of others, falls down through cave from 837 meter height. Baatara waterfalls also known as three bridge chasm as it flows down through three naturally built rock bridges. The lime stone formation of baatara gorge waterfalls have 160 million years of age. It is considered to be one of most stunning geographical formation on Earth. The continuous natural erosion also changes the outer shape and height of baatara waterfalls. Visitors won’t allow to make close visit on waterfall due to dangerous slippy rocks. 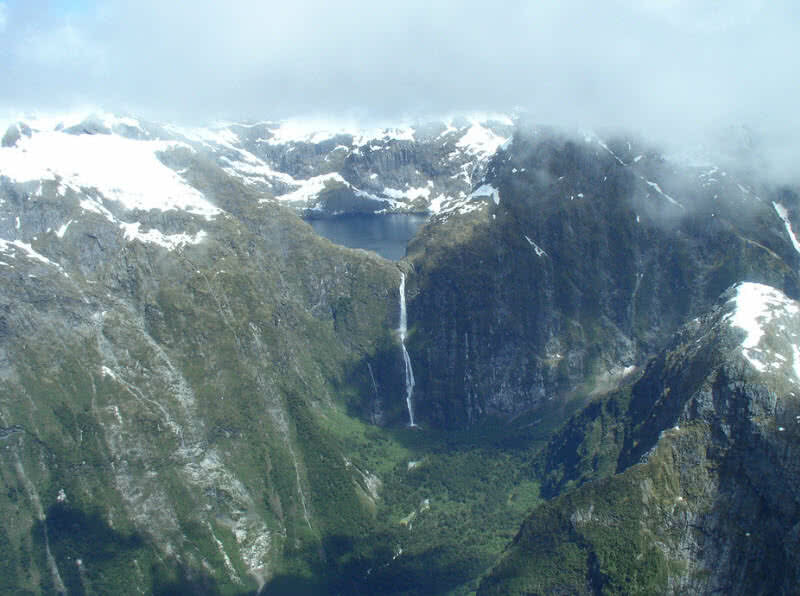 Sutherland falls is New Zealand’s most popular waterfall with height of 580 meters. Interestingly the Sutherland Island have three cascades, makes falls more beautiful, originated from lake quill. Tourist have to pass milford track to reach up with sutherland waterfalls, seems to be little complex. Flight services are also available in sutherland island. Plitvice waterfalls can be located in plitvice lakes national park, Croatia, oldest national park in South East Europe. It is one of UNESCO’s world heritage listed site of Europe. The 16 blue-green pitvice lakes and naturallu built dams makes number of small and tall waterfalls, counts 230 feet height for tallest waterfall. 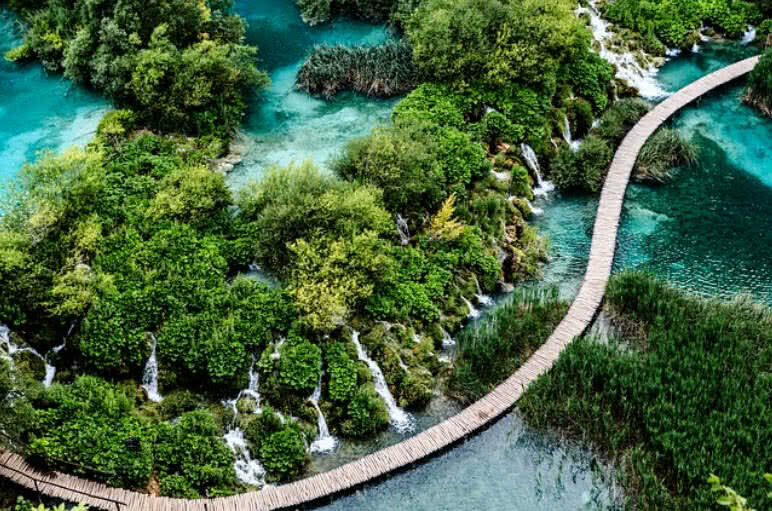 The series of waterfalls-lakes combinations makes Plitvice national park to one of most attractive tourist spots in the world. 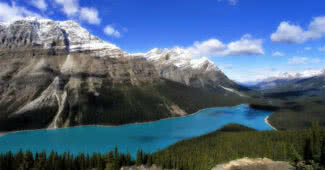 It is different types of mineral which causes different colors for lakes. Moreover plitvice is enriches by dense forest gifts greenish beauty to surroundings. During winter season the water get frozen in plitvice national park. 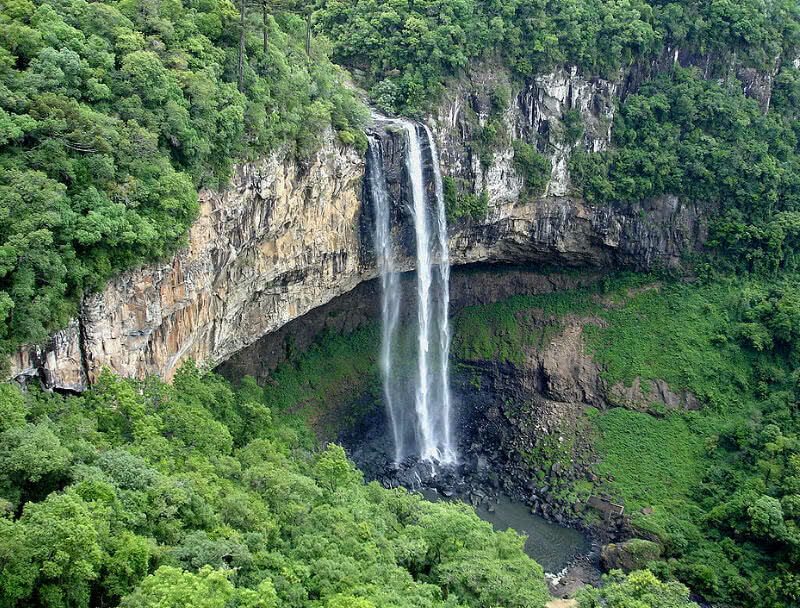 Cascata do caracol is one of most popular tourist attractions in Brazil, have height of 476 meters. It is originated from caracol rivers flows down through pine forests. The authorities also managed to make observatory tower and cable car for the visitors to get close up view of waterfall. ‘Gorgeous but challenging’, the right reference that can given to Habakapiai falls, located in Hawaii, Kauai. 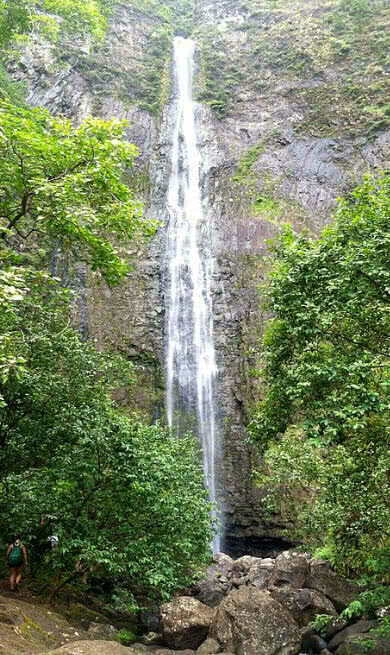 The 300 feet high Hanapikai falls demand 2 miles hiking which is quite challenging one. It is better to avoid visiting during monsoon season here due to dangerous slipping trails. Even the trails are hard the Hanakapiai falls gifts you spectacular view of forest and water. Many Hollywood movies had shoot here, Jurassic Park is popular among them. Moreover the Hanakapiai beach from where you start hiking makes your trip more memorable. 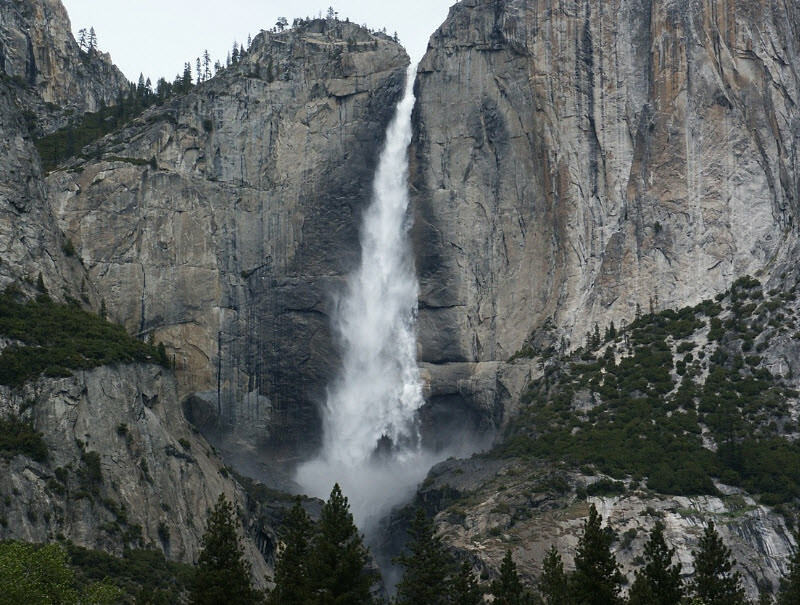 Yosemite waterfalls is the highest one in North America located in Yosemite National Park, California. The National Park itself is home to number of waterfalls, varies in size. Upon them Yosemite falls have height of 2425 feet, separated by three sections. Spring is the best time to visit Yosemite falls whenever you can see the maximum flow of water. The water flow at Yosemite falls completely get frozen during winter season. The dry stage of Yosemite also can seen in month of August. Visitors will get various views of the falls from Yosemite valley and demands for few miles of hiking which is pretty interesting. The 269 feet high Iguazu waterfalls originated from Iguazu river located between border of Brazil and Argentina. 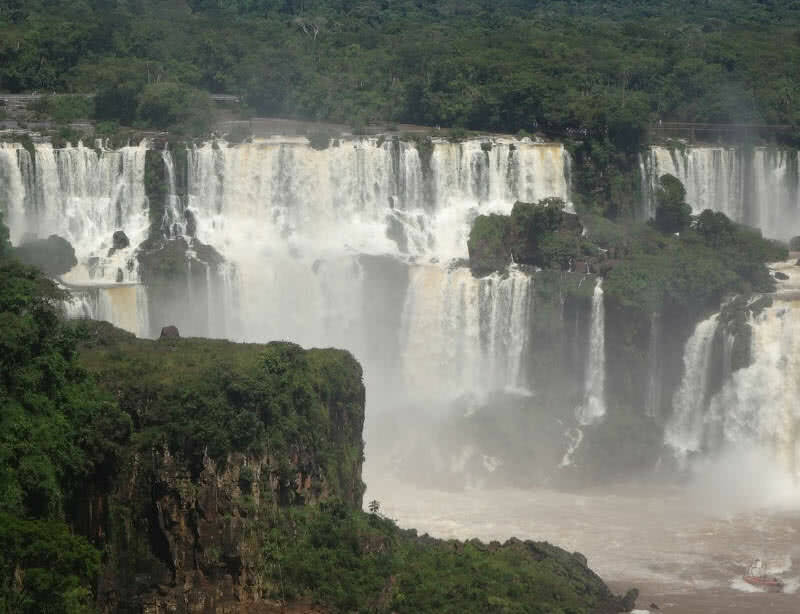 Iguazu waterfalls consists of many individual waterfalls varies in heights makes sight more beautiful. It can be said that Iguazu waterfall makes world’s most impressive border between two countries, Brazil and Argentina. There are 450000 cubic feet of water flowing down from Iguazu waterfalls in every second, forceful water spraying also makes surroundings more beautiful. It is one of UNESCO’s world heritage listed waterfalls in the world, in fact taller than Niagra. Spring is the best time to visit Iguazu waterfalls. Detian waterfalls is Asia’s largest transnational waterfalls located in China-Vietnam border. It consists of many individual small and tall waterfalls surrounded by lime stones and dense trees. 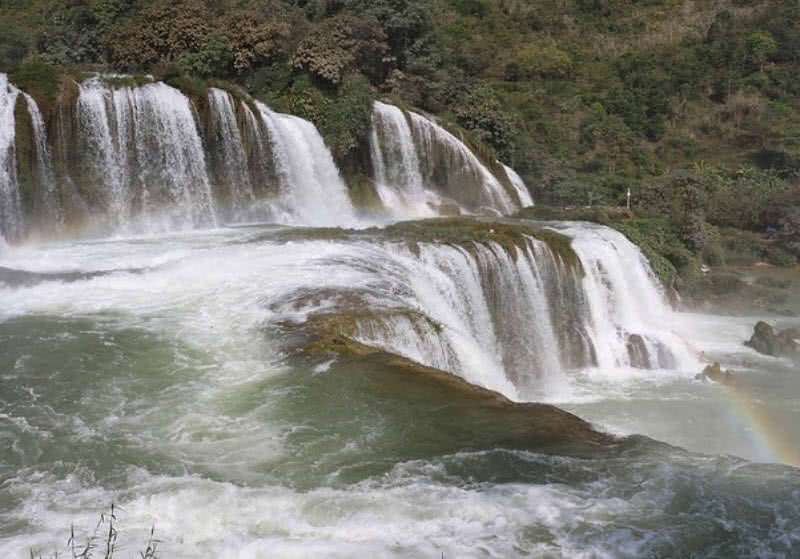 The different sectional flow of Detian waterfalls itself makes it one of popular tourist attraction of China. The deep pool at the base of Detian waterfall is home to large number of big fishes, natives use to make fishing and special dishes from here. The area is also enriches by evergreen plants and rare animals. The heishuai river, Qiaomiao lake and shakun waterfalls also attracts millions of tourists in every year. Tugella falls is the world’s second highest waterfalls in the world located royal natal national park, South Africa. Tugella falls have height of 3110 feet, just behind that of Venezuela’s Angel waterfalls. 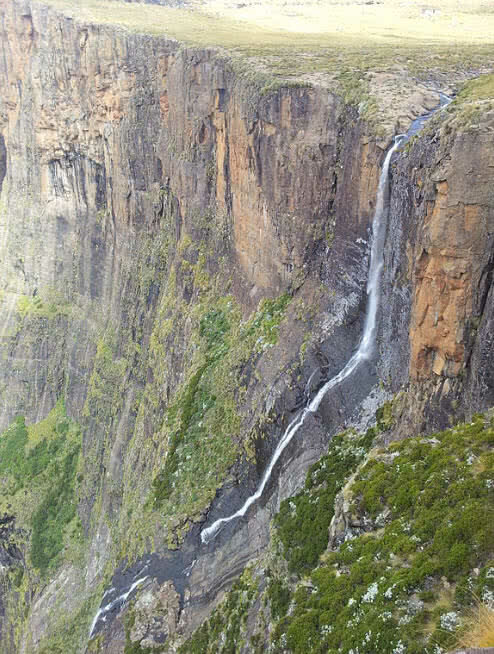 As originated from Tugela rivers it falls down to the base through three different leaps, makes falls more beautiful. The summer rain fall is the best time to watch Tugela falls ,can seen from road to natal national park from far away. You can follow to spectacular trails to get in touch with Tugella falls, the stunning natural surroundings makes hiking more memorable. Niagara falls can be located between the border of US and Canada, have height of 167 feet. Niagara waterfalls enriches by three major waterfalls, American falls, Bridal veils falls and Horseshoe falls, the largest one is horshoe falls. One glacier activity cause the birth of niagara 10000 years ago, 30 millions of tourist visits Niagara in every year, oldest state park in United States. 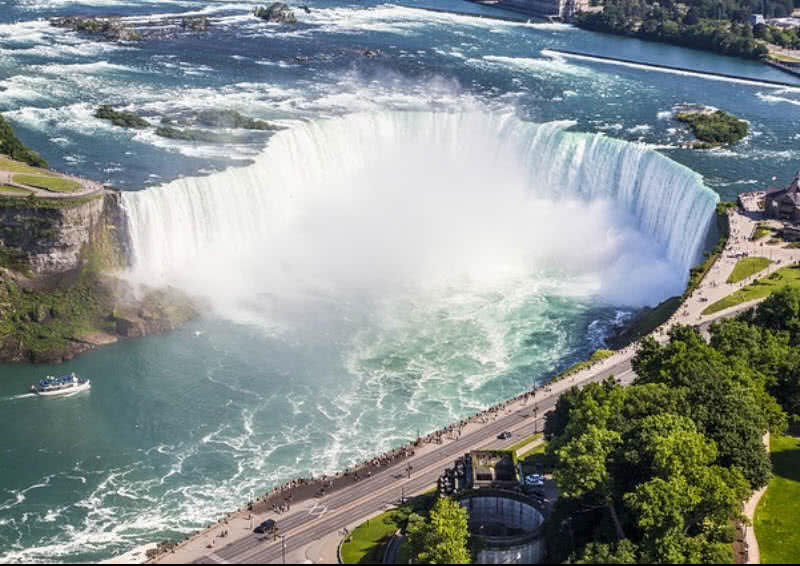 There are 267,811 liters of water falls down from niagara in every second. There are three hydro electrics power stations in niagara, power shared by US and Canada. The night time illumination of niagara is the main wonder you can see upon visit. As became America’s largest butterfly conservatory and frozen stage at winter season makes niagra one of main tourist spot in America. Victoria waterfalls is the greatest curtain of falling water in the world, located in the border of Zambia and Zimbabwe. 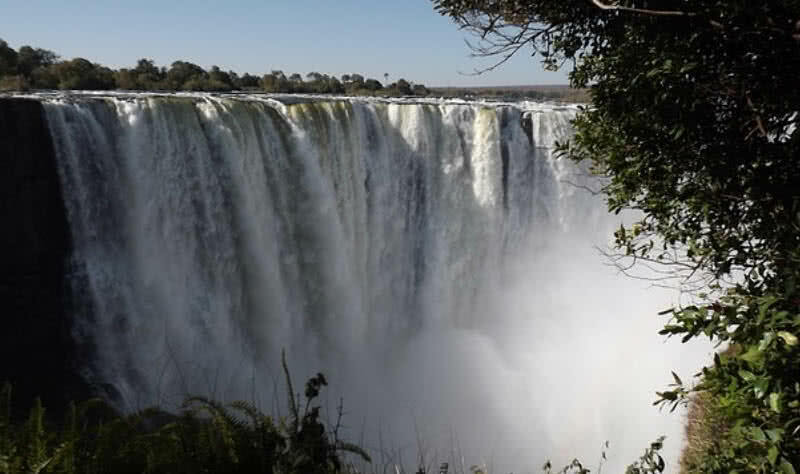 There are five hundred million cubic meters of water falls down from Victoria falls in every minutes. The strong sparing of water makes Victoria waterfalls visible from 50 kilometers away from the spot. It is listed as one of seven natural wonders on Earth. The rain forest of Victoria get 24*7 rain due to sparing of water from Victoria falls. During full moon light the sparing of water and light from Moon created spectacular scenery of moon bow. It is possible to swim at the edge of Victoria, you won’t fall down as protected by naturally created wall, known as devils pool. Angel waterfalls is the highest water falls in the world with height of 979 meters, located in Venezuela. It is protected by Canaima national park which is third largest national park in the world. 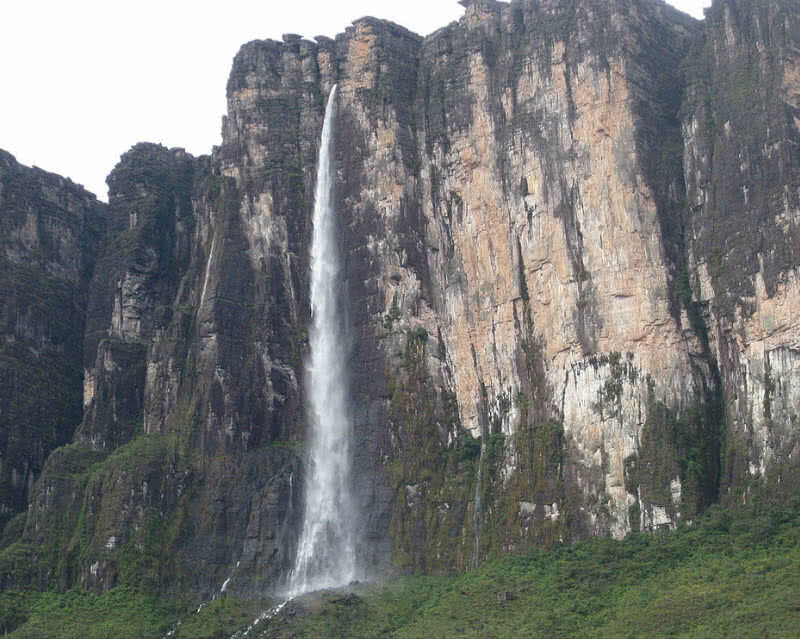 Interestingly Angel waterfalls is 3230 meters above than that of Venezuelan jungle like a crown. During rainy season the Angel waterfalls split down in to two separate waterfalls. Also visitors can feel water splashes from Angel from kilometers away. In summer season the water at Angel falls get evaporate before reaching the base and create mist.